Hand crush canned tomatoes into a bowl. Collect all of the can juices and tomatoes, swish 1/2 cup red or white wine around can. 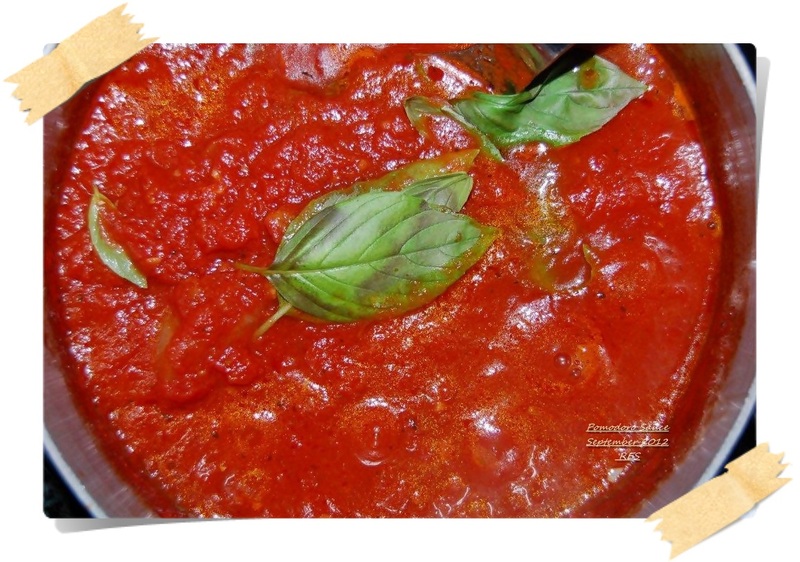 Add all of the tomatoes, herbs, simmer, for 30 + minutes taste, adjust seasonings and continue to cook until the sauce is thickened and orange-colored.